​Public art multimedia installation, for 20 amplified tiles on bamboo structures. 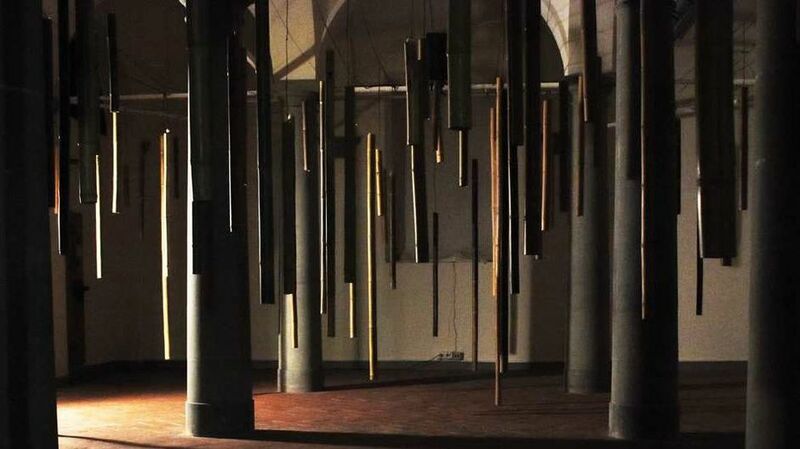 ​Three immersive sound installation, made with wood, paper, metal. 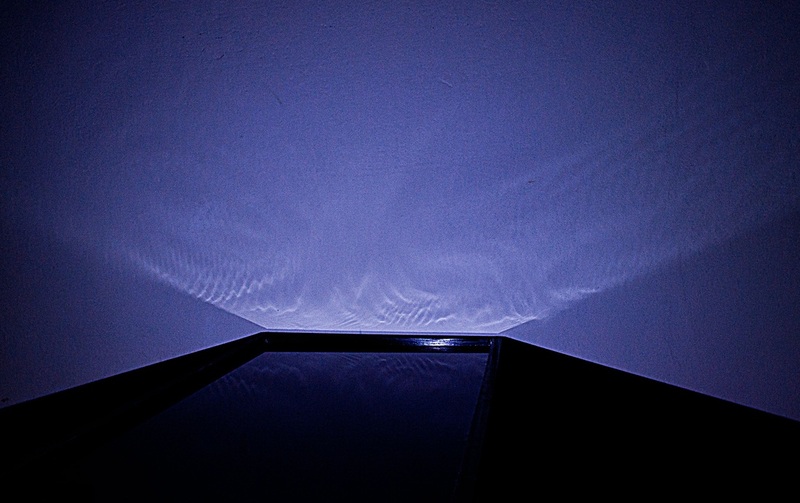 An audio visual installation casting sound waves on water-filled tubs to visualize the sound on the surrounding walls, creating a sound moving space. The installation has been used as an environment for live performances. two musicians (Francesco Pellegrino guitar and Luca di Volo Sax) are inside two structures expressly created for the performance, with scenography by Anita Barghigiani; this structures using music controlled LEDs (with Max/MSP) and fabric have the possibility to make the musicians disappear following their music. Luisa Carpignano, on piano is in the middle of the light "cages". 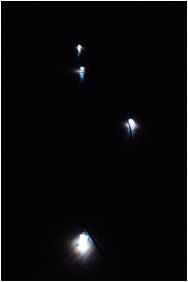 The performance is about constructing an environment which fuse the real and the virtual side both in sound and visual. An interactive installation. A closed, black space receives the audience and brings them in a virtual audio visual defined space. The black room is filled with 512 LEDs, at the same distance from one another, creating a matrix through witch the audience can move and interact with sound and light.